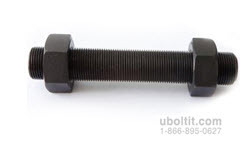 Cadmium Plated Bolts - A193 B7 Stud Bolt | U-Bolt-It, Inc.
A193 B7 Cadmium Plated Stud Bolts are made with alloy steel for high temperature service. ASTM standard covers alloy steel and stainless steel bolting materials; this specification includes fasteners intended for use in pressure vessels, valves, flanges, and fittings. Stud bolts are fairly cheap and when bought are normally bought with 2 A 194 Heavy hex nuts. Click on the link below to see our heavy hex and stud weights. 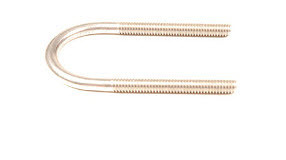 Have a question about our manufactured cadmium plated stud bolts? Contact our team directly by phone or by using our secure online form. We look forward to speaking with you!